is a professor of history and the director of the Summersell Center for the Study of the South at the University of Alabama. His latest book is Flush Times and Fever Dreams: A Story of Capitalism and Slavery in the Age of Jackson (2012). 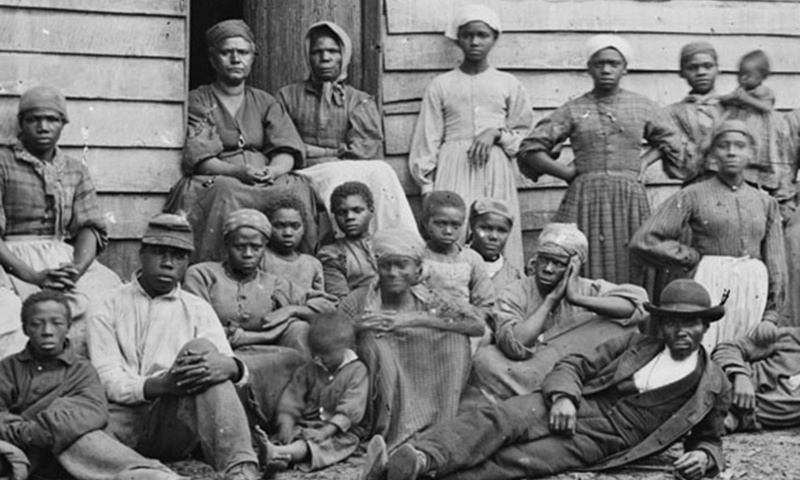 Fugitive Slaves, Virginia, 1862/Library of Congress. Questions about the relationship between slavery and capitalism in the United States have animated historians for nearly a century, and they have never really been resolved. Where some scholars have argued that profit motives, entrepreneurialism and market relations defined American slavery, others have insisted just as emphatically that the slave society of the southern states lacked a truly free labour market and precluded the cultivation of bourgeois values and the development of large cities, which are distinguishing characteristics of capitalist society. Notwithstanding skeptical critics, there are reasons so many find this new scholarship refreshing, compelling and persuasive. In part, of course, an emphasis on the darker side of capitalism’s history comports well with the world today. It is a world where, following the financial meltdown of 2008, the fragility of the economic system is apparent. It is a world in which almost anything can be commoditised and securitised for the benefit of a small minority, while those at the bottom struggle to scrape by. In this world, a past in which the most vulnerable literally belonged to forces of capital that manipulated their labour and their lives for profit makes perfect sense. Indeed, sometimes the past presents striking, specific parallels with the present. The crisis of 2008, for example, grounded in reckless speculation and foolish beliefs about the endless rise of real estate and housing prices, looks not so dissimilar from the crisis of 1837, grounded in reckless speculation and foolish beliefs about the endless rise in the prices of cotton and enslaved people. Studies exploring the historical relationship between slavery and capitalism also resonate because the racialised nature of US capitalism continues to be patently evident. Black people can no longer be bought and sold as chattel, but they remain disproportionately subject to the predations of payday and mortgage lenders, court officials who extort them to fund local government operations, and law-enforcement officers who assume they have licence to discipline them with excessive and sometimes deadly force. Most dramatically, it is disproportionately black bodies that get funnelled into US prisons and guarantee that state contracts with corrections companies get fulfilled. The operation of the modern and often privatised prison system in the US does not amount to slavery. But slavery’s legacy can be seen plainly in the annual reports of corporate entities whose stock prices depend in part on how many black men and women are locked in their cells. Of course, given the historical significance of slavery in the US, its links to capitalism are hardly the only issues worth considering. Like all scholarly waves, the current one will eventually crest and trough. But the evidence mustered in recent studies is not likely to lose its import any time soon and, ultimately, the larger point made by scholars bringing that evidence to bear is not that capitalism is a system of inherent evil. It is that capitalism without limits can produce nearly unfathomable human misery as it produces wealth for a select few. Indeed, the abolitionists, most of whom were hardly enemies of capitalism, nevertheless understood that capitalism without limits can and will make property of man. In the US, the Civil War and the age of emancipation was a moment when the nation tried to draw a clear line delineating what can and cannot be legitimately sold in a capitalist system. Historians of slavery and capitalism today remind us that when that line blurs, we fail to sharpen it at our peril.